When you combine a youth spent mainly watching disposable cinema with a later life determined to educate oneself on a hundred years of cinema, it’s really nice to find the place on that Venn Diagram those two intersect; in this case, the films of Val Lewton. Lewton had some small success as a novelist, then worked as a publicist and assistant to David O. Selznick (it’s a piece of Hollywood apocrypha that Lewton, in the course of writing some scenes for Gone With the Wind, jokingly added a shot that would be ridiculously expensive to produce, and Selznick loved it: the now famous scene slowly revealing the seemingly infinite field of war casualties) . 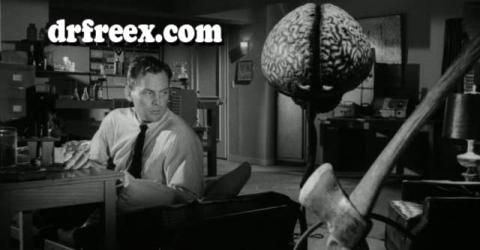 This eventually led to him being named head of RKO’s new horror unit. His job: produce horror movies under 75 minutes in length, developed from titles given him by the home office. None could cost over $150,000. The first movie he delivered was Cat People, which became RKO’s major money-maker for that year. This allowed Lewton a certain amount of freedom, which resulted in eight more movies, many of which are acknowledged as classics of cinema, not just of the horror genre. This came to an end with a management change at RKO and the death of the horror movie itself after World War II. Lewton would attempt to regain his former stature, despite increasingly poor health, until his death in 1951. The thing is, to this point I had actually seen only two of his movies. High time for a third. 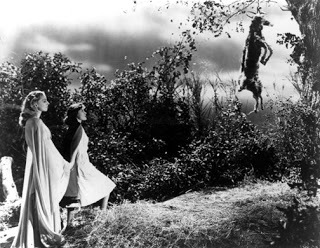 Based on an article (or series of articles, depending on the source) by Inez Wallace in the Saturday Evening Post, Lewton considered the title probably the worst that he had been saddled with, and proceeded to largely ignore the source material, telling his writers to instead distill a story from Charlotte Brontë’s Jane Eyre. 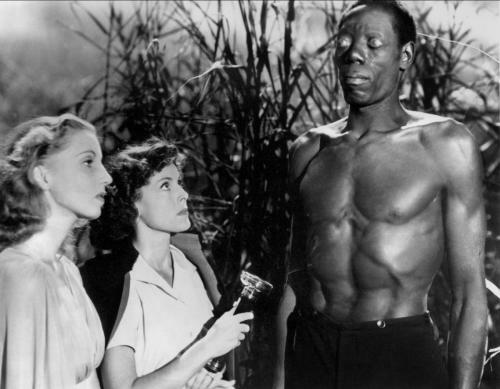 Young nurse Betsy Connell (Frances Dee) is hired to tend to a sugar plantation owner’s wife on the isle of Saint Sebastian in the West Indies. 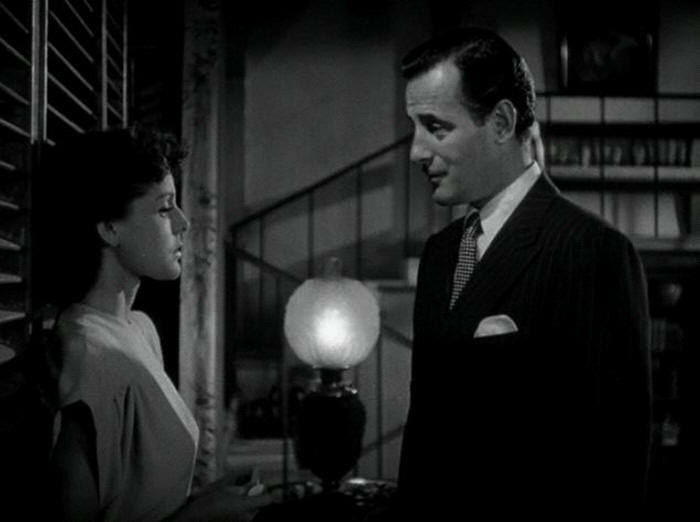 The owner is the handsome but tragic Paul Holland (Tom Conway), whose wife, Jessica (Christine Jordan) suffered a bout of some tropical fever that has left her an active catatonic, a mute robot prone to nocturnal walks and not much else. Betsy is of course going to fall in love with Paul – his half-brother, Wesley (James Ellison), refers to him as “ideally Byronic” – and the feeling is going to be reciprocated. Betsy becomes obsessed with the idea of restoring Jessica to normal, and returning Paul his wife, even if it means her own heartbreak, though that is going to reveal to her the twisted family history that possibly led to Jessica’s condition. It’s Betsy’s desperate resorting to the local voodoo houngan as a possible cure for Jessica that leads to the justification for the title, and the movie’s most famous sequence, when our plucky nurse and her charge, in a flowing gown worthy of the cover of a gothic romance, travel through sugar cane fields to the sound of jungle drums, passing all sorts of grim pathmarks until finally confronted by the movie’s true zombie, the striking Carrefour (Darby Jones). Director Jacques Tourneur, always a master of the use of darkness in his films, is especially masterful here. Add to this mix of characters Paul and Wesley’s mother, a nurse who runs the island’s dispensary and a lady with a host of secrets herself (Edith Barrett, at the time only 3 years older than her “son”, Tom Conway, and Mrs. Vincent Price!) and James Bell as Dr. Maxwell, the physician who always provides a rational counter to the superstitions running rampant through the rest of the story, and you have a very busy 70 minutes, indeed. Lewton’s penchant for ambiguity is in full display here; the houngan seems to have a certain amount of power over the catatonic Jessica, and Carrefour is an ominous presence, but equal points are made for rational explanations. The point has also been made that Lewton’s movies are obsessed with death, and I Walked with a Zombie is certainly a prime exhibit, with Paul’s morbid, sour observations and Wesley’s growing notion that the only true release for Jessica is death. There is a pall of doom hanging over everything and everyone, exacerbated by Paul’s explanation that Saint Sebastian was populated by slave ships, leading to a culture that cries at the birth of a baby and celebrates death as the only release from a life of sorrow. Criticism has been leveled at the movie for the now-native population of the island, largely shown to be little more than superstitious children, but compared to a lot of its contemporaries, the portrayal of the non-white characters in the story is damn near enlightened. Hell, the fact that it addresses the horrors of slavery and the massive, lasting scars it leaves on a society, a mere four years after Gone With the Wind, is amazing.